To catch pokemon, you have to walk around the maps until a wild pokemon shows up. You will then have to battle it and weaken it before you can throw a pokeball to capture it! 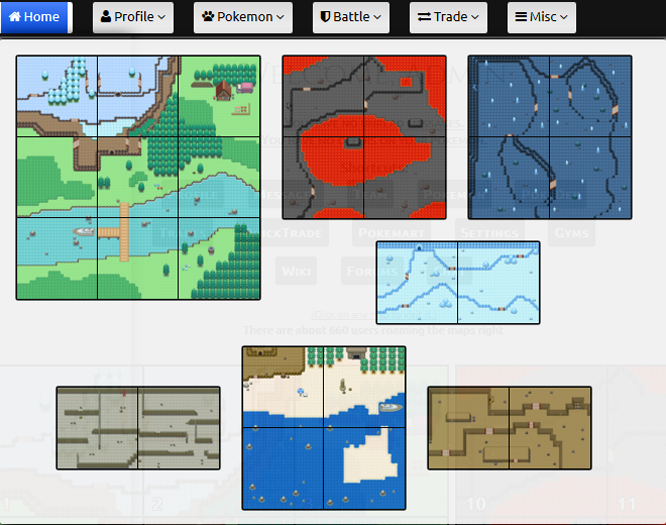 Pick a Map, from the Navigation Bar by moving your mouse pointer "Maps" or clicking on it then clicking on a map from the page that load. If you are looking for a specific pokemon, please refer to the guide "How to find a pokemon's location"
Visit the Map and walk around using the Arrows on screen or keyboard keys. 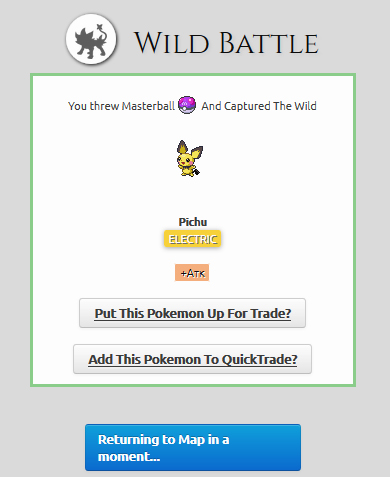 When you find the pokemon that you want to catch, click "Try To Catch It"
This will take you to a Wild Battle. 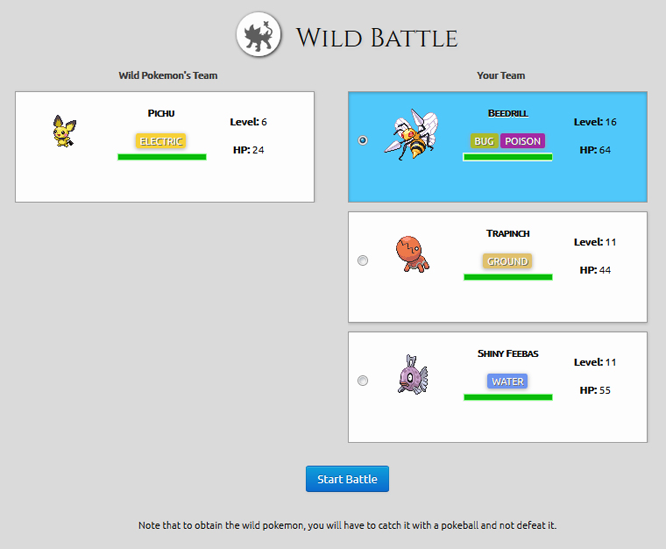 Pick the Pokemon that you want to use in battle, click "Start Battle"
If it is successfully caught, it may be added in your team automatically (Depending on your Game Preferences. 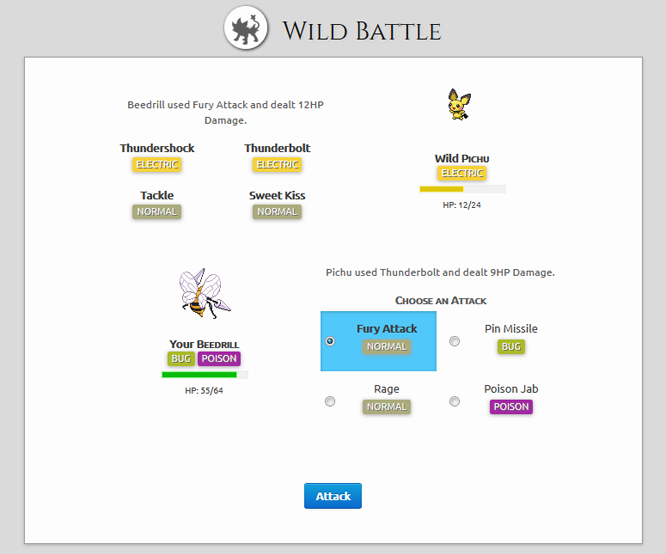 This setting can be found at the bottom of your Profile page) or You may be given an option to put the Pokemon up for trade. 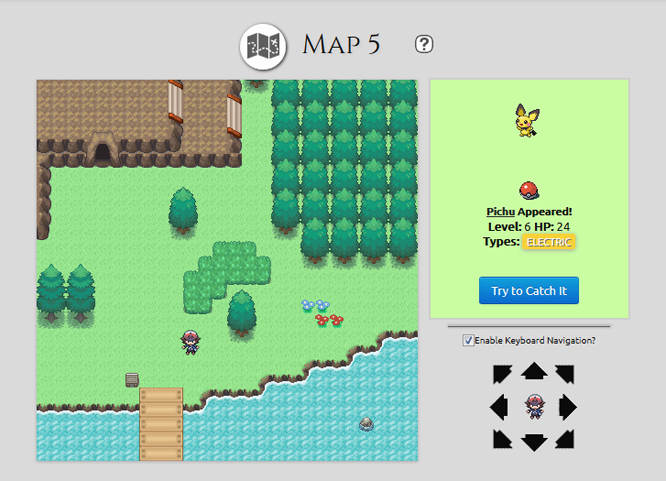 You can also choose to Return to the Maps and catch more pokemon.